Blinkist’s hit podcast, Simplify, is back this November with six new episodes. Listen to the trailer now to get a taste of what’s ahead. 6 episodes, 6 expert authors, 6 simple ways to make your life better! After the success of the first season — which thanks to you, was downloaded over 300,000 times — Simplify is back for season two. Check out the trailer above to get a taste of what’s in store. 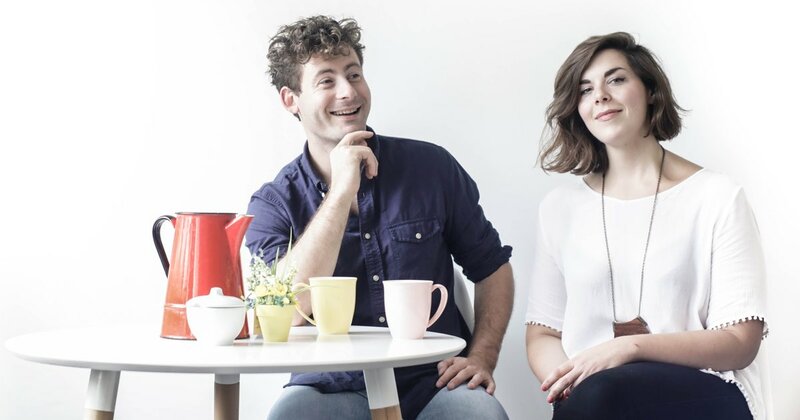 Over six weeks, you’ll hear hosts Caitlin and Ben delve into topics like creativity, relationships, and communication, with incredible guests like Seth Godin, Ryan Holiday, and Rebecca Traister. If you haven’t already subscribed, make sure to do so before the first new episode drops on November 16. If you’re already a subscriber and love the show, then please spread the word and tell your friends. It really does help! Want to hear your voice on the podcast? Well, now you can! Just record a voice memo with the answer to the question, “what did you discover was easier than you initially thought it was?” and send it to podcast@blinkist.com. We’re really excited to hear what was simpler than you thought. If you want to get in touch with either of the hosts about the show, or anything we talk about during the course of the season, then tweet Ben @bsto or Caitlin @caitlinschiller. You’ve got a whole 280 characters at your disposal now, so make the most of ‘em! So, that’s the deal. We’re looking forward to simplifying things for you from November 16. New Simplify episode drops Nov. 16. And remember, life is complicated, but living it better doesn’t have to be. Simplify.